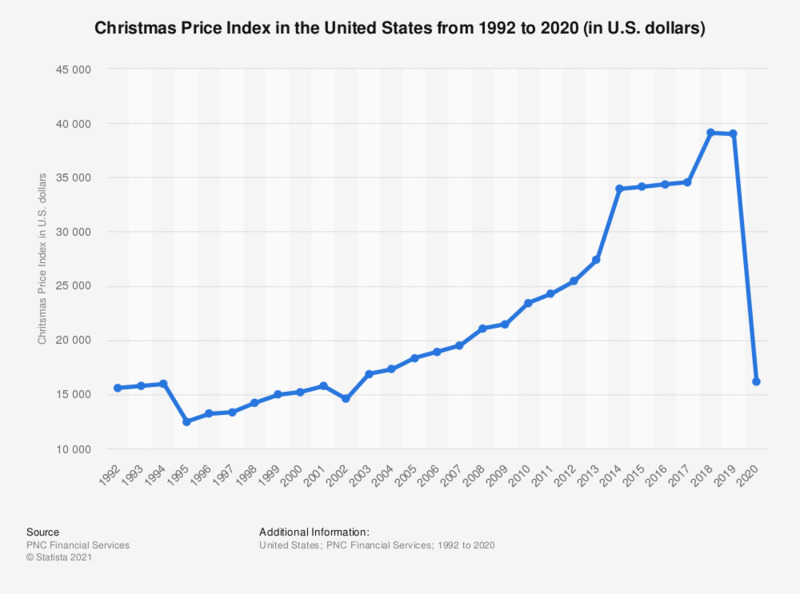 This statistic represents the total price of all items in the PNC Christmas Price Index between 1992 and 2018. According to the source, the index reflects the current cost for one set of each of the gifts given in the song "The Twelve Days of Christmas". In 2018, the cost for the seven swans-a-swimming - the most expensive item on the index - was at 13,125 U.S. dollars. * According to the source, the PNC Christmas Price Index reflects the sum of the current cost for one set of each of the gifts given in the song "The Twelve Days of Christmas." *According to the source, the figures for 2014 were revised to "better reflect open market pricing". American adults: Do you still think that "Kick Me"-signs are funny?